Tesla CEO Elon Musk is always in the news for both good reasons and bad. 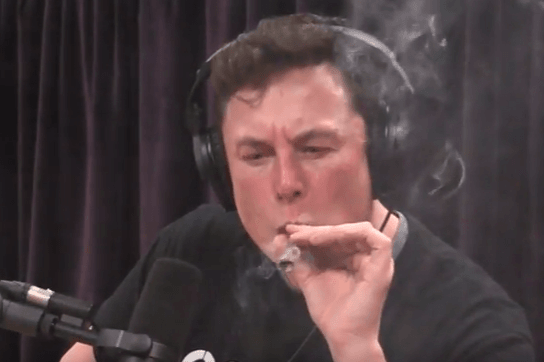 Lately, he has been attracting the limelight for all the wrong reasons, including revealing his intentions to take Tesla private and smoking pot on a live show. Now he is back again, but this time for what he is best admired as: a modern-day visionary. What will Musk’s superhuman product do? On the same show on which Elon Musk smoked pot and drank alcohol, he also revealed that soon he would come up with a superhuman product which can connect your brain to a computer. He plans to announce a new Neuralink product, which he claims can make anyone superhuman. Neuralink is one of the many companies Musk has founded. According to Musk, the new superhuman product would seamlessly combine humans with computers, making humans “symbiotic” with artificial intelligence. Musk feels we are already basically cyborgs because we are always attached to our phones. However, he argues that we are not as smart as cyborgs because the data link carrying the information from our phones to our brains is not fast enough. “It’s like a tiny straw of information flow between your biological self and your digital self. We need to make that tiny straw like a giant river, a huge, high-bandwidth interface,” Elon Musk said. When asked how much smarter humans will be with such a superhuman product, Musk said one would be able to answer any question instantly and also “remember flawlessly.” The Tesla CEO even noted that such technology could eventually allow humans to develop a copy of themselves which will live even after their body dies. “If your biological self dies, you can upload into a new unit. Literally,” he said, according to CNBC. Is Elon Musk the next Thomas Edison? Musk and eight others founded Neuralink two years ago. The company works on creating BCIs or implantable brain-computer interfaces. In the short-term, the company aims to use the technology to treat diseases of the brain, but in the long run, Musk hinted that their objective would be to make humans more intelligent and powerful than even artificial intelligence. “It will enable anyone who wants to have superhuman cognition,” Musk said about the Neuralink product. Musk’s idea of a superhuman product comes straight out of a sci-fi movie, but the same things were said a decade ago about several ideas that are a reality now. Such out-of-the-box ideas even landed Musk in the good graces of famed astrophysicist Neil deGrasse Tyson. “He’s [Musk] the only game in town. He’s the best thing we’ve had since Thomas Edison,” Tyson said in a recent interview with TMZ. However, Tyson agreed that he must follow federal financial laws as he is the CEO of a public company. Musk is facing a regulatory investigation over his tweet about taking Tesla private. In addition to Elon Musk, one other Silicon Valley visionary is working to enhance human cognition. Braintree co-founder Bryan Johnson started a company called Kernel, which works on similar ideas. “We know if we put a chip in the brain and release electrical signals, that we can ameliorate symptoms of Parkinson’s,” Johnson said in an interview with The Verge last year. Johnson, who sold Braintree to PayPal, has been growing his team of neuroscientists and software engineers at Kernel. The team is working on making our brains faster and smarter by reversing the effects of neurodegenerative diseases. Despite the rising interest and investments in developing products that connect the brain to a computer, there are several challenges in actually developing such products. Researchers have limited understanding about the working of neurons in the human brain. Additionally, their data-collecting methods to improve their understanding of neurons are not that advanced. However, their biggest challenge is finding people who will consent to having chips put inside their heads.